Whether you rent your home on Airbnb, drive for Uber, or receive 1099 Contract Income, we’re here to save you time, money, and give you peace of mind with tax preparation services. 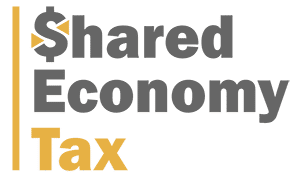 Shared Economy Tax (formerly Shared Economy CPA) is the premiere Tax firm for 1099 Independent Contractors and those working in the Sharing Economy to help with tax planning, compliance, preparation and savings. ​I never thought I’d say this but I’m actually not dreading tax time anymore thanks to Natalie, Derek and Shared Economy Tax. I have been in business for over 4 years and have used 2 other tax professionals before calling them, and I’m so glad I did. As a creative entrepreneur and as someone with several completely different sources of income, it was so worthwhile to have their help in both getting my books organized and filing the various forms for two LLCs, a W-2 and a sole proprietorship. I love that they use current technology to enable working remotely, opposed to going into someone’s office to talk over everything. I was able to call -and- text Natalie with tax questions (and I have a lot of them). Even during their busy season, Natalie always made time for me and was responsive, as well as very personable. Their pricing is upfront and fair, and we got everything submitted on time. I highly recommend the services of Shared Economy Tax, they were worth every penny. I found Shared Economy via a search looking for a CPA specializing in Airbnb. They took my chaotic year of new home, new state, new Airbnb and made it largely effortless. I look forward to working with them again next year. When tax season came around after my first year of freelancing, I was completely lost. I knew that if I tried to muddle through on my own, I risked overpayment of my taxes or, even worse, penalties from the IRS. Fortunately, I heard of an online seminar featuring Derek Davis. His knowledge and commitment to helping freelancers with their accounting needs led me to choose Shared Economy Tax as my tax preparer. It was an excellent choice. Everyone at Shared Economy was polite, efficient, and extremely helpful. I could not have asked for a better experience, and I’m truly happy that I’ve found experts for all my accounting needs. ​I was looking for a knowledgeable, professional, and competitively priced Accountant to help me file my taxes. I’m glad I found Shared Economy Tax because they met my expectations in these areas and were very knowledgeable regarding how I handle my Airbnb income and expenses. Shared Economy Tax is super easy to work with. I used to have to spend hours filling out a packet for my previous Tax, then mailing it off and going to an in-person meeting. Everything with SET is online, fast communication and they got me a nice return. Highly recommend! Pleasure working with Miguel and his team. Very effective and provided the right set of skills for what I was looking for. Thanks Miguel! Miguel and Kym helped us with our Airbnb taxes. We didn’t really know what we were doing, but they walked us through everything and helped understand our business better. Shared Economy Tax ended up saving us a ton of money on our taxes. Also, I highly recommend checking out their blog and videos. Tons of really helpful content. Derek was able to help get my complicated and disorganized business ready for tax season and the process went amazingly well. He took care of everything and alleviated all my headaches. I cannot recommend Derek highly enough! Miguel was very helpful and easy to work with! I would highly recommend him to anyone who Airbnbs or is part of the sharing community- he has valuable insights and advice on getting taxes done efficiently and properly. Big thanks to Miguel and everyone at Shared Economy! In all my years of filing taxes, never have I experienced a more personable, understanding, compassionate and professional group of people. This team is incredibly focused and has the experience that will top anyone, anywhere period. I highly recommend Shared Economy Tax Services, it was my first year doing my taxes as a business Airbnb Host & Property Manager. I honestly thought it was going to be a huge project, but it so easy that I couldn’t even believe it, they understand how the shared economy works perfectly and I obtained the expected results, no surprises no hassles, they definitely deliver more than what they advertise. New to Hosting and doing business taxes, Miguel has made my life so much simpler with the services he provided. As a Vet with PTSD, trust is my biggest issue and Miguel has won that over. Contact Us for CPA Services Today!